TIF TALKS BOOKS: Monday Maunder: January in Review, Readathon Wrap-Up, and Giveaway Winner! 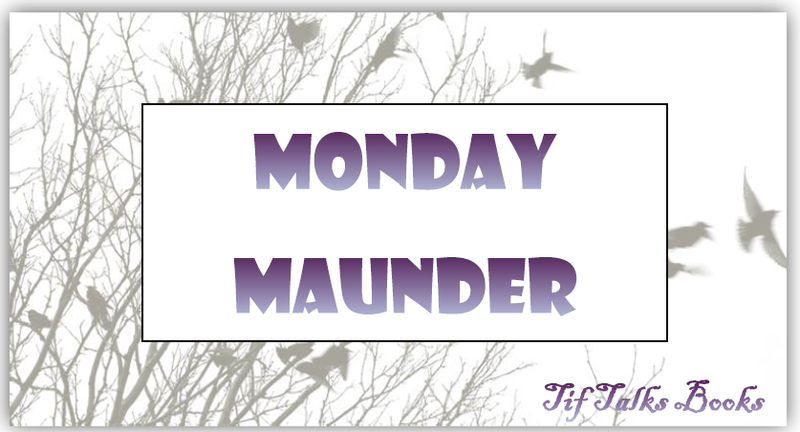 Monday Maunder: January in Review, Readathon Wrap-Up, and Giveaway Winner! I have so very much to chat about this week, so let's get to it! Let's first start with a great big CONGRATULATIONS for Carol of Carol's Notebook. She was the big WINNER of the Candlewick Giveaway that closed on Friday! Happy Reading Carol!! Next, let's look at my results from the Winter's Respite Readathon that I participated in this last week. Not bad, not bad at all. I was hoping to finish one more book, especially considering that I needed it read by today for an online book club. BUT, I should finish it probably in the next day or so. Last, but not least, let's take a look at the month in review. January proved to be a successful month for reading. Sadly, I am way behind in writing reviews for these books, but that is my goal to catch up on this week. The TOP POSTS from the month were twofold this time around. The Candlewick Giveaway received the most hits, but 2015: My Year to Persevere received the most comments. 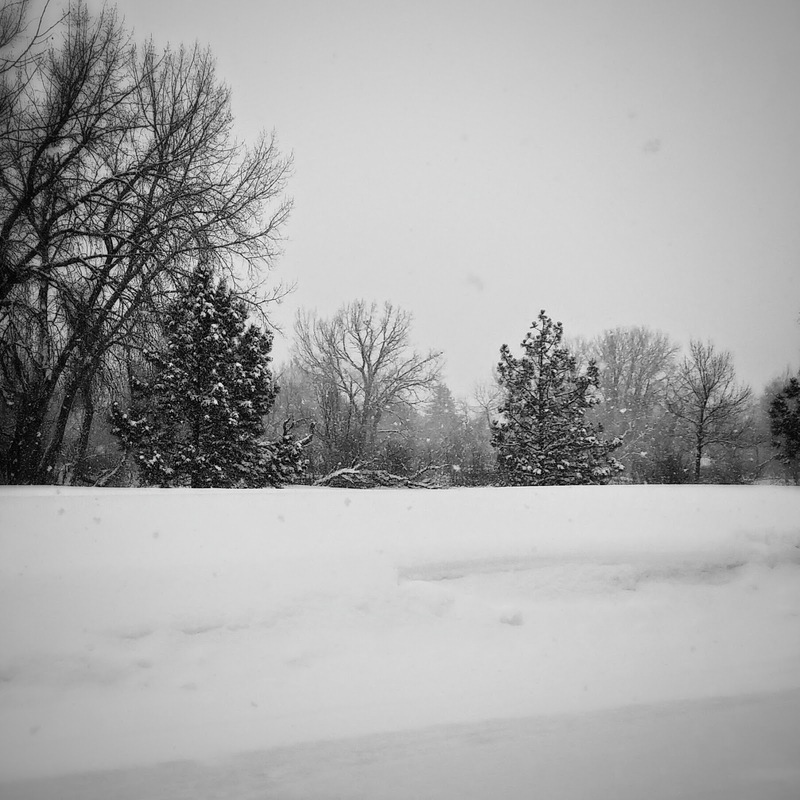 The TOP PIC was from the big snowstorm that I got stuck in during the Bout of Books Readathon. There was a LOT of snow that week! My final list of BOOKS READ for the month ended with a good number. According to my Goodreads goal, I am currently three books ahead of schedule. Two readathons in one month really helped with that! Here's to hoping that February proves to be just as amazing as January has been! Did you participate in the Winter's Respite Readathon? How did you do? How was your month of January? Kristen M. ... It was unseasonably warm here too, so maybe that contributed to my great reading month as well. I would think that it would be the opposite though! That is a lot of snow. We got tons here too. I'm ready for Spring already! Some great books! You had a good month! Happy February reading! fredamans ... Well, the groundhog saw his shadow, so we may be in for more snow for a while! ;) Happy reading to you as well!! You had a great reading month! I'm rather surprised that I've read as many books as I did in January, although I did read a lot of graphic novels, which are definitely shorter than most novels. But they were so good! Belle Wong ... I read a good chunk of graphic novels in January too, which really helped with the numbers. I usually don't read that much in January, so it was a nice surprise to see that final total. Thanks for joining me again, Tif. You did a bang up job! Sorry I was a less than stellar host. Hopefully next time, with the change in dates, I will be able to be more present. I'm looking ahead to doing another Sit Down and Write. February is out because it's such a short month. I was thinking some time in March...either the first two weeks or the second and third week. What do you think? Ape House was just okay for me. I really don't even think I am going to write a review of it though. I definitely prefer her novel Water for Elephants over this one. I'm in for Sit Down and Write. Right now, I have no preference for the weeks in March. Set it and I will make sure it is on my calendar!! Congratulations Carol! And congrats to you Tif for a great job on the read-a-thon! Impressed that you read 10 books in January. Well done! I started my reading year at a snail's pace, so hoping to pick things up this month. Hope you're staying nice & warm with all this snow!